truly understood through a first-hand learning experience. 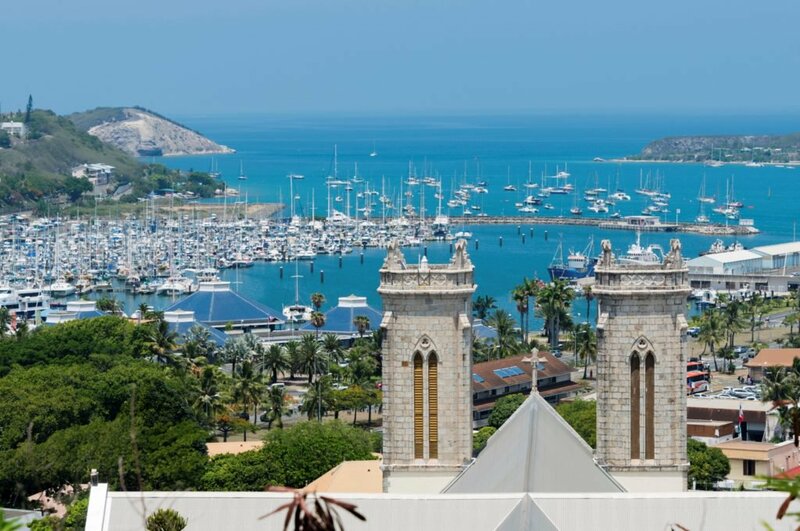 Steeped in rich pioneer and colonial history, the diverse blend of ethnicities that call New Caledonia home account for its extraordinarily vibrant culture, making it an excellent destination for students of language and cultural studies. Welcome to New Caledonia Board your flight to Noumea. On arrival in Noumea, transfer by coach to the hotel. Enjoy a welcome dinner at the hotel this evening. Aquarium des Lagons After a picnic lunch, head over to the Aquarium to get up close and personal with sharks and turtles during a self-guided visit. After your visit, you’re free to spend time at the local beach or relaxing by the pool at the hotel. Language Lesson Head to the Creipac School, New Caledonia’s only government recognised language school, for your first 3 hour French language lesson. Try your hand at petangue games on the beach. Live like the locals Meet your host family and experience the local way of life during a 4-night home stay. Language Lessons Return to Creipac School for your second 3 hour French language lesson. Tjibaou Cultural Centre After the lesson, enjoy a picnic lunch and this afternoon transfer to Tjibaou Cultural Centre for a half day guided tour experience featuring Kanak dance performance. Evening activities Practise your French with your host family. Language Lessons Return to Creipac School for another 3 hour French language lesson. L’Eau Vive Restaurant Dinner is at local restaurant L’Eau Vive this evening, a wonderful restaurant run by missionaries to raise money for the needy and provide training for the youth. Language Lessons Today is your forth 3 hour French language lesson at the Creipac School. Mt Koghi Up the adrenaline during a tree-to-tree zip lining activity at Mt Koghi. Amedee Island Transfer by coach to Noumea’s port and cruise to Amedee, an island of white sand, coconut palms and clear blue water. View coral and fish through the glass bottom boat. Enjoy a delicious tropical buffet lunch and participate in a display of local-island dancing and music. Cruise out to the reef, climb the lighthouse or simply relax on the beautiful beach before returning to Noumea by coach. Dinner is at your hotel this evening. This evening enjoy a farewell dinner at the hotel. Farewell Transfer by coach to the airport for your flight home. Thank you for your interest in our WorldStrides New Caledonia Explorer Tour! Please tell us a little more about yourself so we can get you sent to the right place.